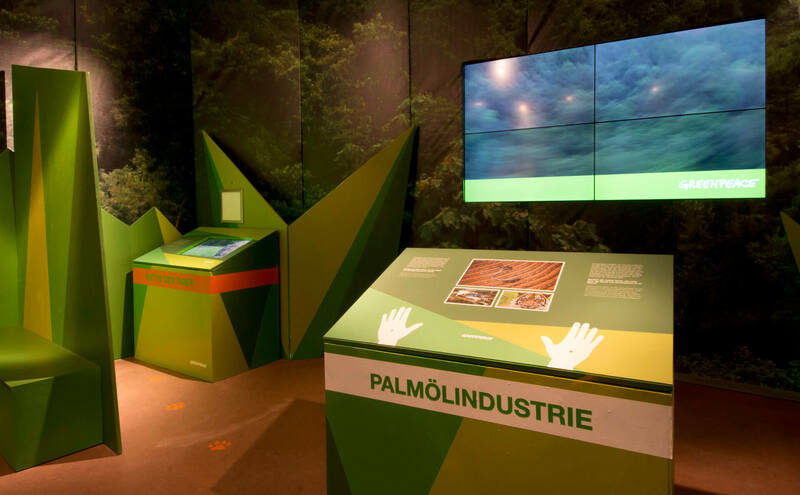 We have been approached by Greenpeace to intervene by shaping the content and creating the technical base for the user interactions in the exhibition. 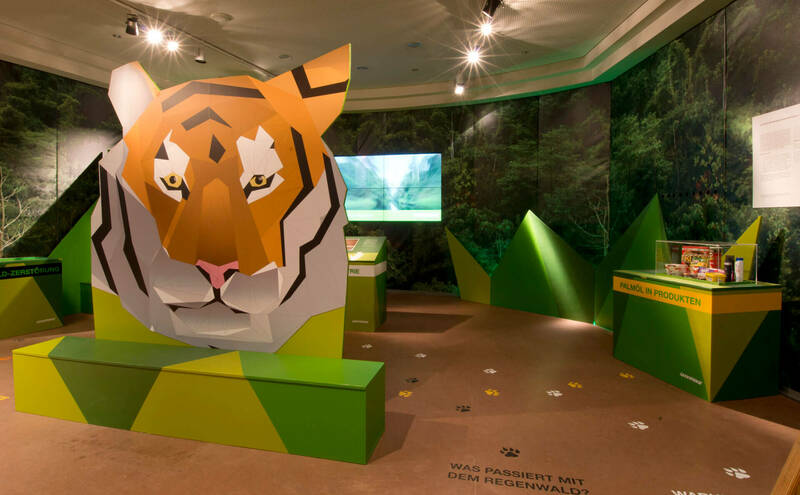 Greenpeace partnered with the zoo of Vienna, Tiergarten Schönbrunn, to create an interactive exhibition about the Sumatran tigers in the Indonesian rainforest. 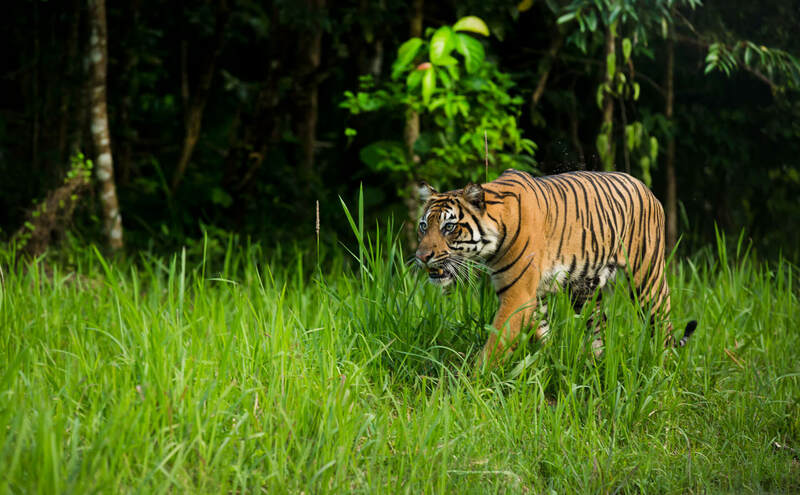 To make everyday household products the deforestation and destruction of natural habitat has left as few as 400 Sumatran tigers in the wild. 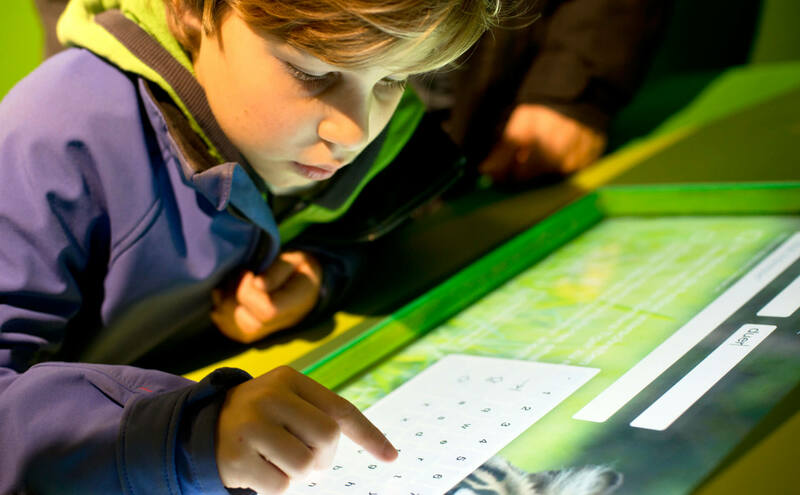 To raise awareness and inform about the palm oil production and how it threatens other wild animals, several interactive stations allow the visitors to interact with video content, watch videos and sign online petitions. If you are interested yourself, you can sign the petition here and keep the forests intact. 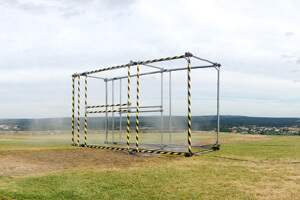 The result is a landmark made entirely made of scaffolding, a simple utilitarian everyday material and yet an extremely robust and versatile system. It resembles Lego but at much larger scale and promotes the interaction between the object and the public, artists, visitors or participants. The spaces defined inside the sculpture can be inhabited, visited and experienced.